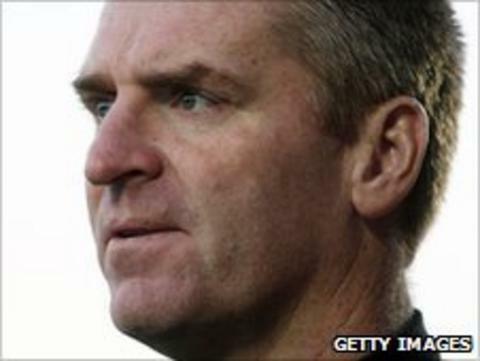 Walsall manager Dean Smith has signed a new two-year contract, keeping him at the club until the summer of 2013. The 40-year-old was on a deal until the end of the season after taking over in January when former boss Chris Hutchings was sacked. Smith has led the Saddlers off the bottom of League One, eight points from safety, to fourth bottom and within a point of escaping the drop zone. He told the club website: "This is a fantastic opportunity for me." Smith, who came through the club's ranks as a player and became their youngest-ever captain at the age of 19, has won five and drawn eight of his 18 games at the helm. Chief executive Stefan Gamble said: "The rest of the board and I have been very impressed with how he has conducted himself since taking over the first-team reins; we have seen steady and positive progress on the pitch and we are very confident in his abilities as a manager. "The impact Dean has had since stepping up to first-team level is clear for all to see. "Performances, and crucially results, have improved dramatically and we have given ourselves as real chance of avoiding relegation, something that was almost unthinkable at the turn of the year."